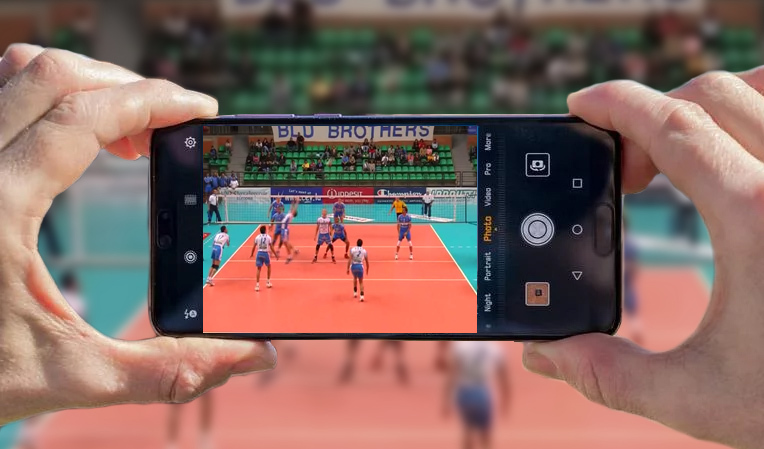 through three simple steps: you capture the video of the match (automatically compressed during recording), synchronize it with the scout from Essential Stats, Click&Scout or Data Volley and get useful info for rotations and skill analysis. on your match report to watch the corresponding action within the recording. You can analyse every skill in order to see individual statistics for each player and evaluate their evolution over time. is necessary to examine the team’s behavior in the two different phases of break point and side out, considering scores won and lost. You can also watch the actions in slow motion and fast forward. according to what the analysis reveals, allows you to show to your athletes their weakness and strength. Thanks to the frame editor you can add lines and text to your images. 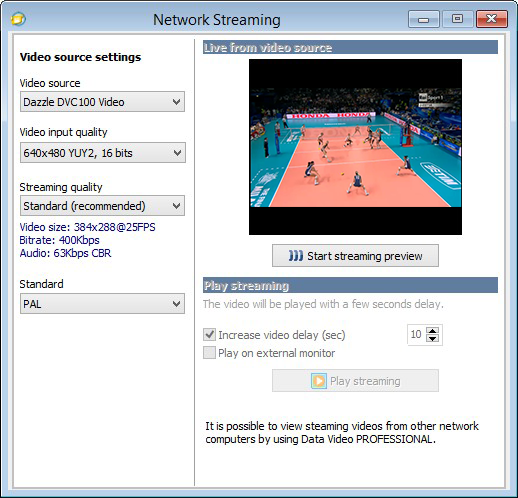 Capture or import the video from your match on to a PC. 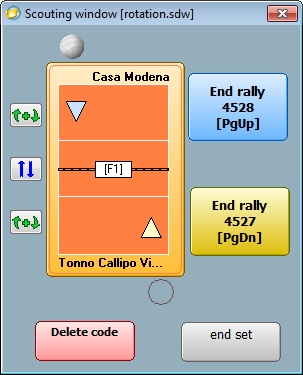 You can scout the rotations by setting the server and setter's position on the court and then with just a few clicks each rally, organize the match. 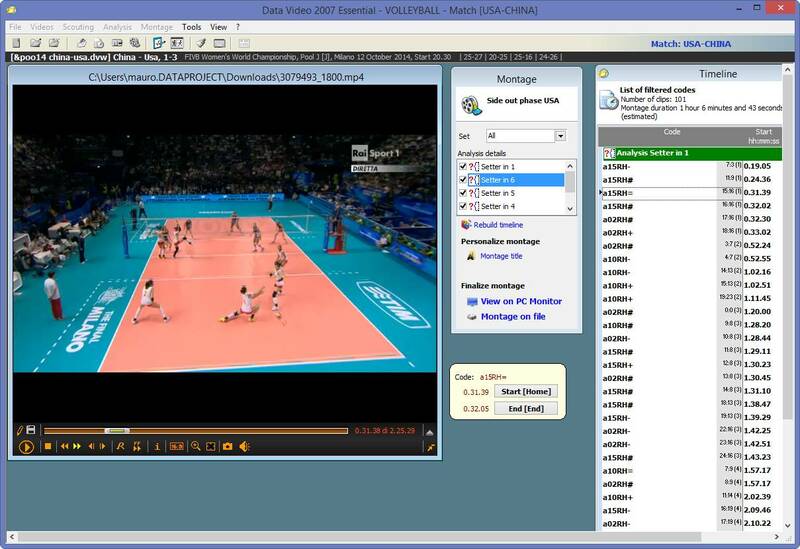 If you own either Essential Stats, Click&Scout or Data Volley, you are able to automatically synchronize the video and statistical data from the first serve instead of having to go back and synchronize the video point by point. Capture from a video camera connected to your PC. Convert/compress the video in real time. Import a scout file and align it with the first rally of the video. The process is quick allowing you to synchronize the video in only a few seconds. 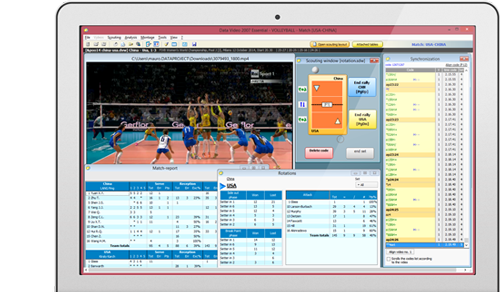 If you do not own a scouting software; you can set the serving team, set the setters’ positions on the court and then by clicking just three buttons you can get rotational analysis for both teams. You can watch the rallies of each rotation as many times as you want. By importing the scout file you are able to analyze the video when clicking on any skill. Use the frame editor to save the most important parts during the game so you are able to watch it later. 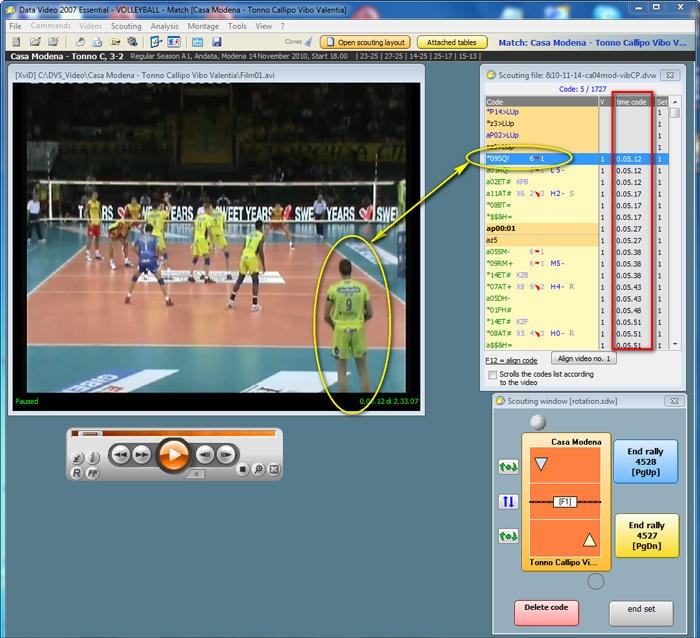 Watch rallies when the setter is in a particular position on the court (rotation). 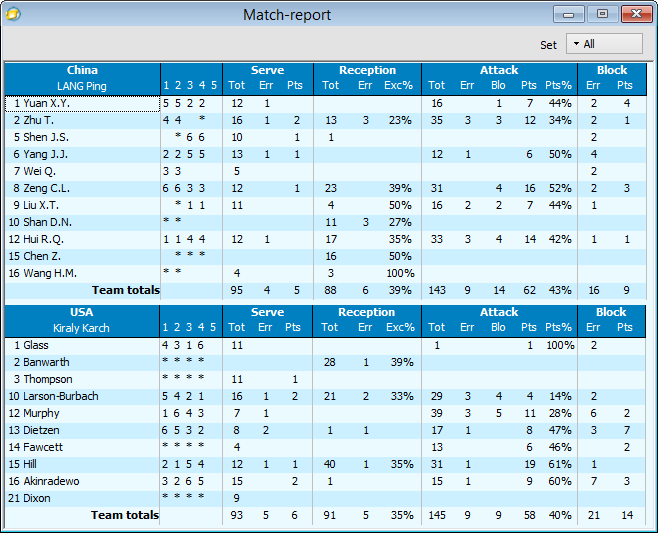 Click on any statistical data in the match report to watch the corresponding action in the video. Use the set filter to select one or more specific sets. 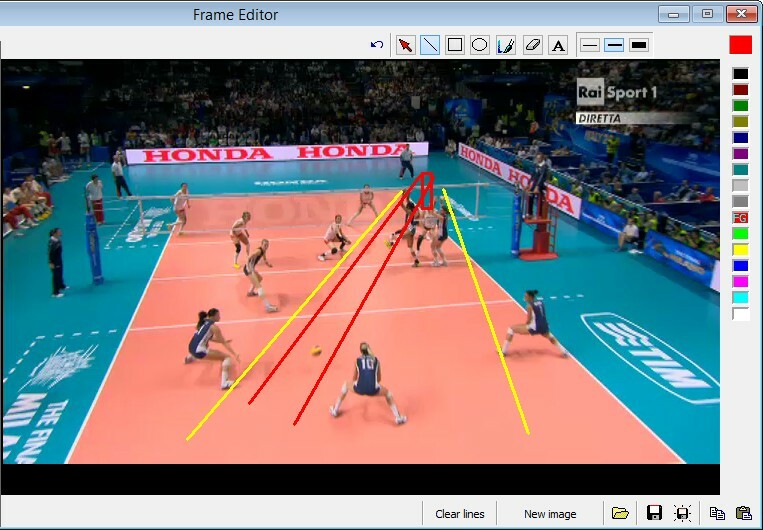 Capture the highlights of the game and edit the image by adding lines and text. You can save the images on your computer for later use. Create a video of one or more rotations by identifying the team and sets played. Share the video with your team to have a better analysis of the game. Save the video to file, so you are able to watch it again any time as you want. Replay the action just completed in order to quickly adapt your strategy. You can use this feature to show your players the movements he just made. Set the streaming delay according to your needs and the setting. 1 - I need to install the software, but I can no longer find the setup CD and the license file. The installation setup file of the programs can be downloaded from the website: select DOWNLOAD from the menu panel. 2 - I have installed the software but when I launch it the program crashes and it asks for a license file. The license file will be sent to you by e–mail. 3 - Can I install the software on two computers? Yes, there are NO limitations. 4 - When I launch the program it warns me the license file has almost run out. What does this mean? 5 - I can’t import/open a video file. Remove all Divx video codec and remove Divx Player from the list of applications in the Control Panel. Download the XVID codec from the Utility section in the Download area. 6 - The streaming preview is a black screen. Update Windows Media Player to version 11. Update the drive of the video capture board.